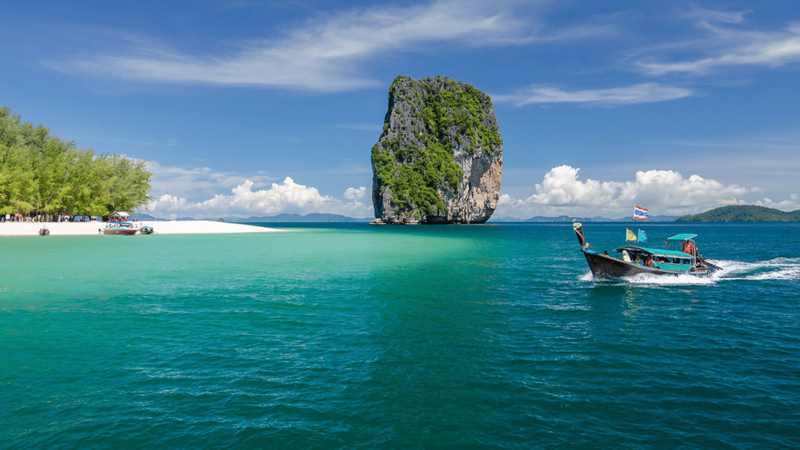 Krabi is arguably one of the most spectacularly beautiful places on earth and if and when you experience it for yourself you will learn that that is by no means an exaggeration. 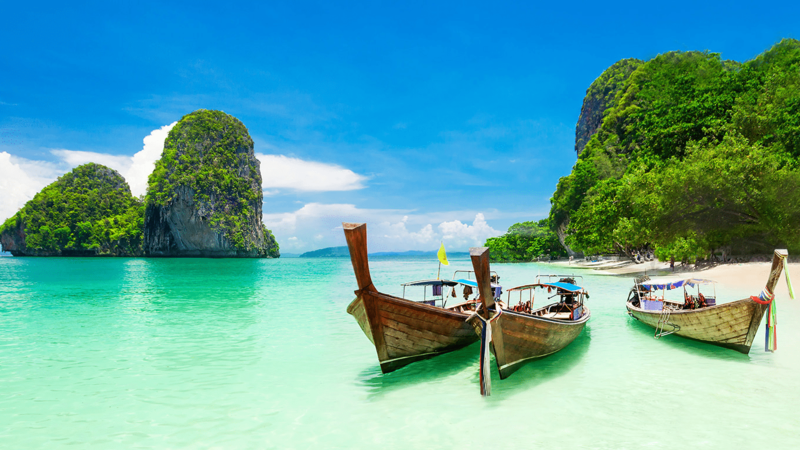 Lined with over 200 tropical islands that are edged with white-sand beaches; Krabi truly is a place that you will never forget in your lifetime which makes it the perfect location for you to take your TEFL course and begin your adventure! The stunning region is home to an accommodating population of laid-back, friendly folk and all manner of equally interesting and wonderful creatures. There are scores of charming and colorful birds that scatter throughout the beautiful blue skies – Why waste your time on Twitter when you can lounge around in paradise and experience a birdsong worth listening to. 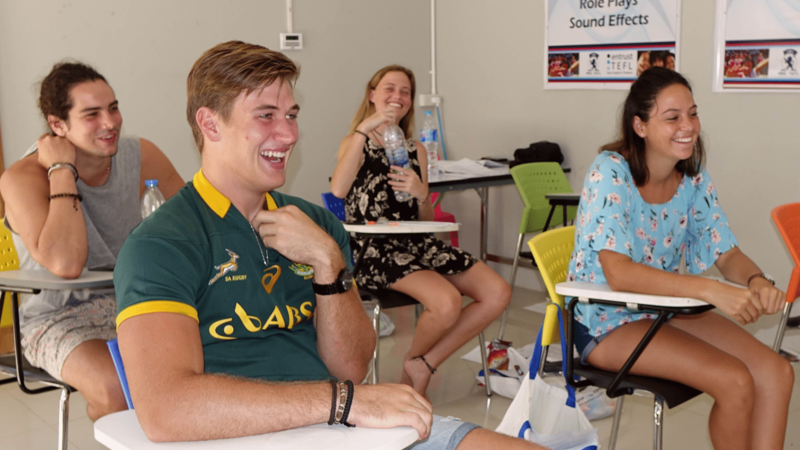 Surrounded by incredible karst peaks and modern teaching facilities, Krabi offers a learning experience unlike any other. 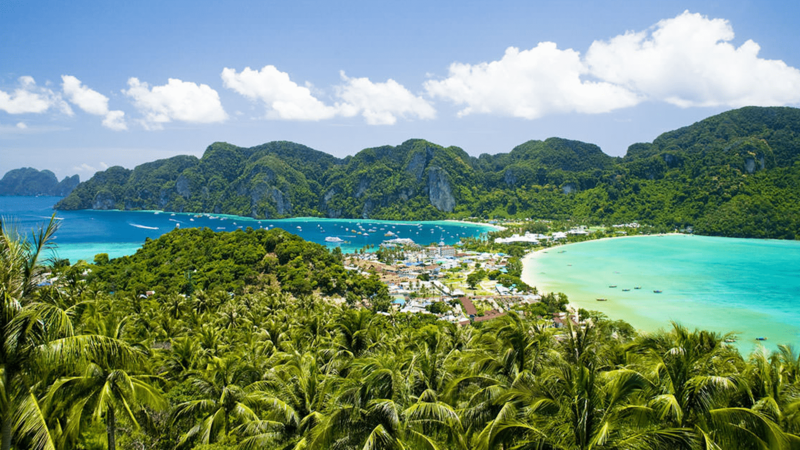 The town is situated in the Southern Island region of Thailand: with access to more than 200 tropical islands and gorgeous beaches right on your doorstep. 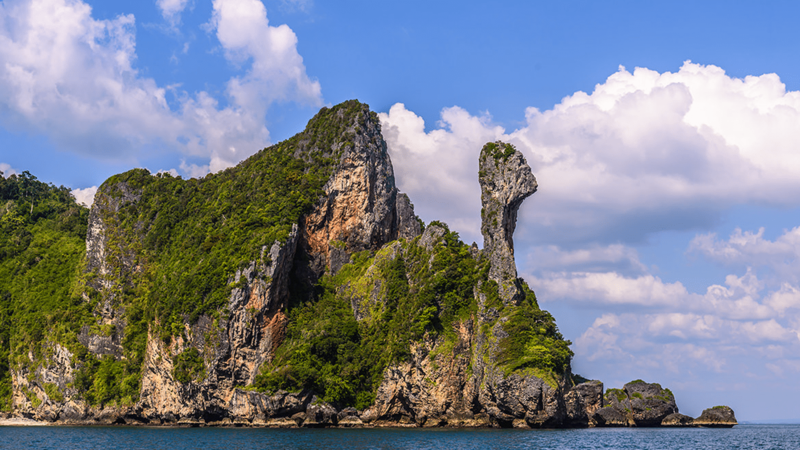 The Andaman Sea is an oasis for adventure, with snorkeling, scuba diving, rock climbing and deep sea ﬁshing among a host of other activities for you to explore. 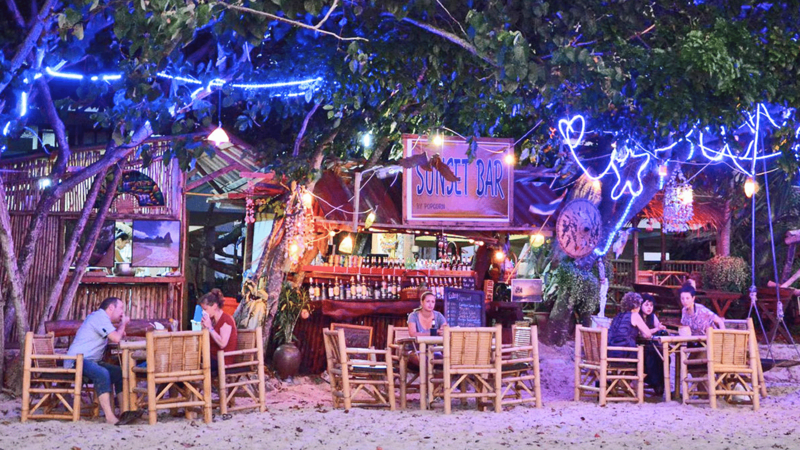 Krabi is renowned for its relaxed cultural attitude. 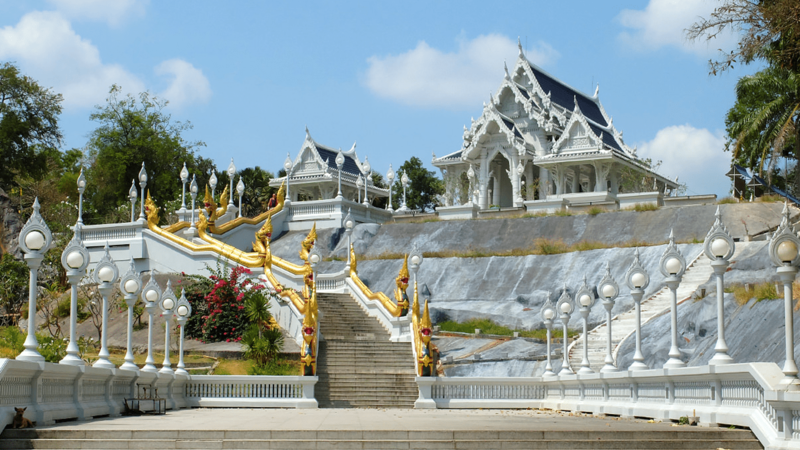 The locals are friendly and extremely accommodating, and due to its status as a “hidden gem” of Thailand, you won’t be hassled on the streets, as you might in Phuket, Sumui or Bangkok. Ao Nang is only a short distance from Krabi Town, and offers visitors an amazingly vibrant city, hidden in the shadows of karst limestone peaks and sunny beaches. The city is a tourism hub, with the recent surge of development meaning that the city is easily navigated and accommodation is cheap and readily available. Scuba diving, snorkeling, mangrove tours, and kitesurﬁng activities are easily accessible, as are the many local islands that dot the horizon. Phi Phi islands or James bond Island in Phang-nga are also a short distance from Krabi town – and offers a retreat for those in need of an escape from the hustle and bustle of everyday life in Krabi town. These insanely gorgeous islands are recognized as Thailand’s Shangri-La: where, if you can escape the tourists, on snow white beaches and untouched beauty awaits you. You will be greeted by a range from top end resort style accommodation, to sleeping out in bungalows! Not many people are fortunate enough to be able to explore such an incredibly wondrous place that is rich with history and natural authenticity. 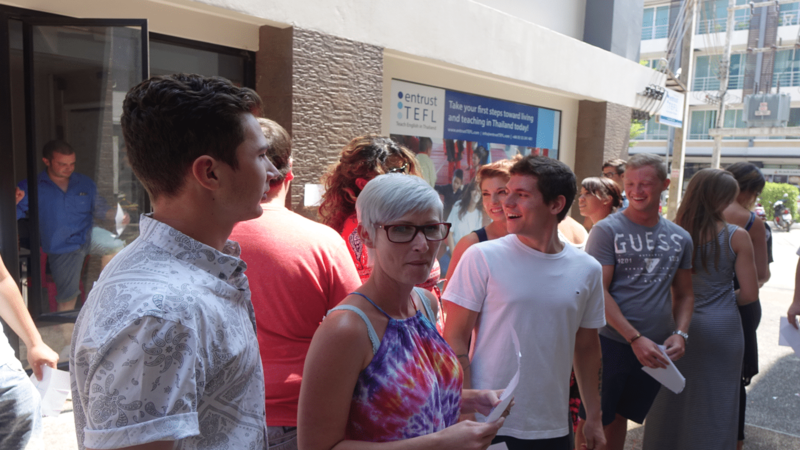 It is here that you can truly get stuck into a comprehensive TEFL course and work hard toward your certification while being able to look forward to a sunset snorkeling trip at the end of the day. Who is the Krabi training location for? The Krabi training center is for someone that loves white sandy beaches and tropical islands to explore when not in our TEFL training center. You may want to sit on a white sandy beach and watch the sunset every night. 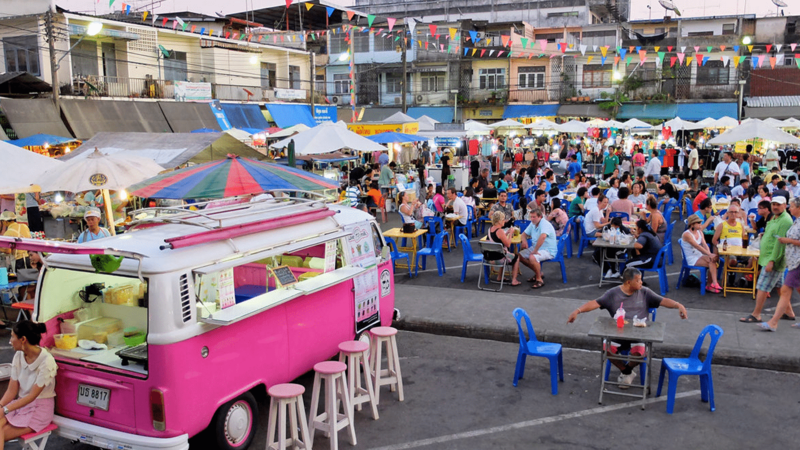 The night markets provide a pulsating atmosphere, with amazing opportunities to meet locals and try out the local cuisines. Again, the atmosphere is relaxed and travellers are treated to a host of different shopping options: from handicrafts, clothing, jewelry, souvenirs, local produce or incredible food options and live entertainment. These night markets are alternate their opening times; Monday-Wednesday 17:00 – 22:00 / Friday – Sunday 17:00 – 22:00, and if you are looking for seafood, then head to Chao Fa Pier market open Monday – Sunday 18:00 – midnight. 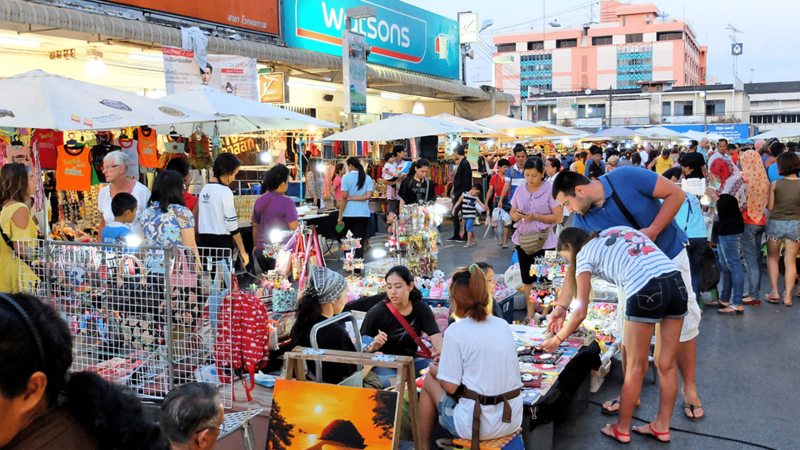 Day markets are also a large part of the culture and are only a short walk away from our training center / accommodation. Here, you’ll have access to a host of fresh local fruit options, as well as delicious open market food vendors. If you’re looking a nice watermelon (or any other type of shake) for lunch then this is the place. The Vogue shopping center provides some western food chains such as KFC (Kentucky Fried Chicken), the Pizza Company and Swenson’s Ice Cream along with clothing shops. 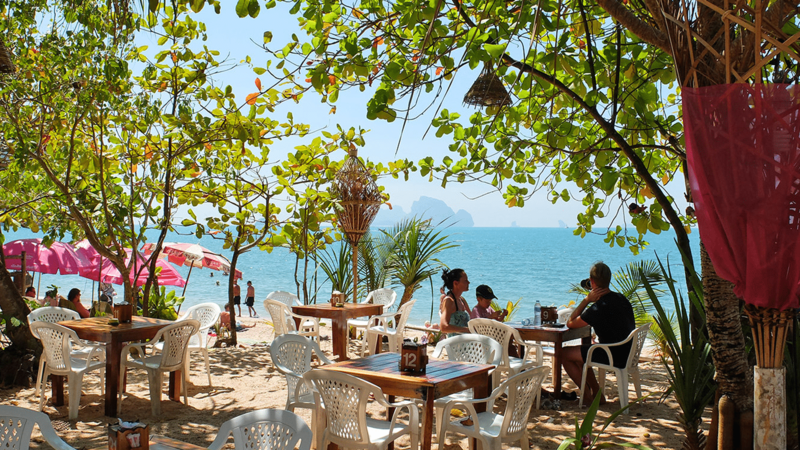 If you are looking for more western food then head to Ao Nang Beach a short 20 minutes away. 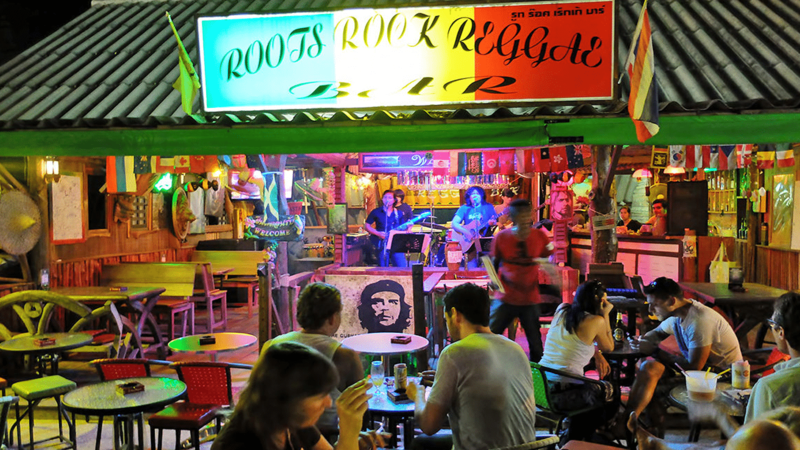 The night life also offers something for everyone: with chilled out reggae bars, to full swing nightclubs to keep the vibes ﬂowing through the weekends. There are no shortages of options to explore throughout the weekends in Krabi Town, and if the city itself does not satisfy your urge to boogie down, then Ao Nang is only a short 20 minute ride away. As mentioned, Ao Nang is highly developed and tourist-centric – so the night life is booming with activity long into the night. 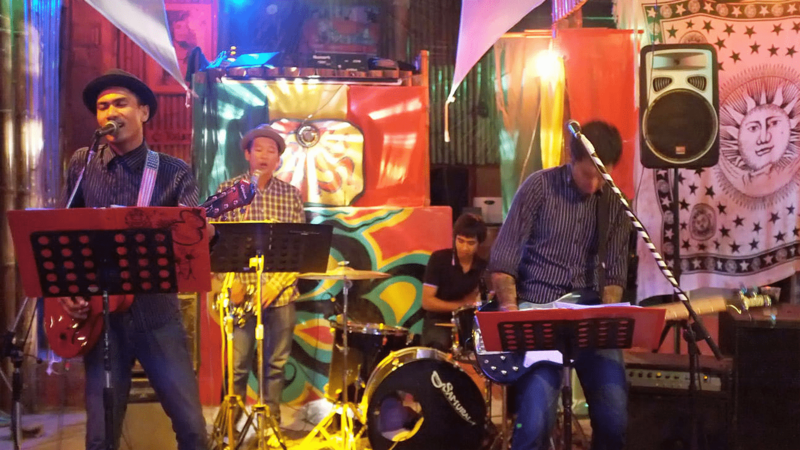 Grab a group of friends, find a cheap hostel and rock until you literally drop in either one of these two wonderful locations. 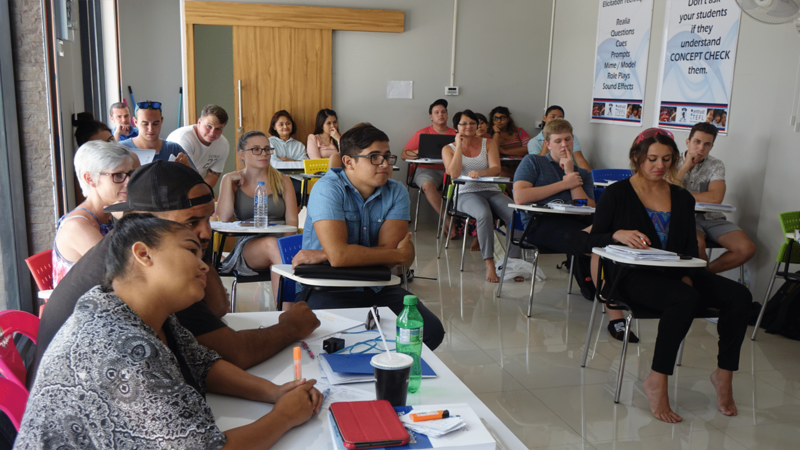 Entrust TEFL has carefully selected our accommodations to suit the needs of our new teachers as we strive to provide convenience, comfort and fun. The Krabi Premium program accommodation is within walking distance of our training facilities as well as the city Center. Our Premium accommodation at The Grand Mansion is a wonderful experience and within a short walk to the training area. 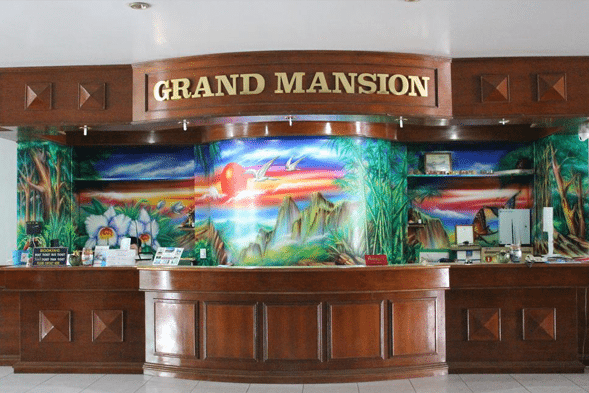 Grand mansion will be collecting you from the airport and checking you in to the hotel. The rooms over look the Krabi river and beautiful limestone cliffs where you can explore an old Japanese garrison from world war two. The staff are extremely welcoming, and you will feel like part of the family from the ﬁrst moment you arrive. The Apo Hotel & Coffeehouse is located a mere 20 meters directly across from the Krabi training facility. The Apo Hotel is often used to supply our Premium participants their daily western breakfasts before they head over to the training area for a full day of training. 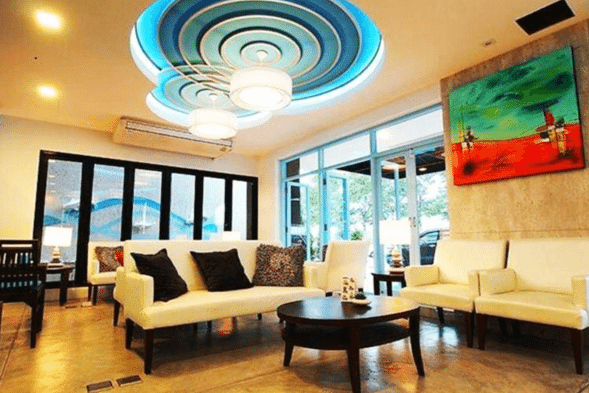 Apo Hotel is both a family ordinated and upscale hotel with modern clean rooms right in the heart of Krabi town. Apo has many standard extras that will make your life easier such as its own laundry service and currency exchange. The Krabi Orchid Hometel is situated directly across the street from the Krabi training center. 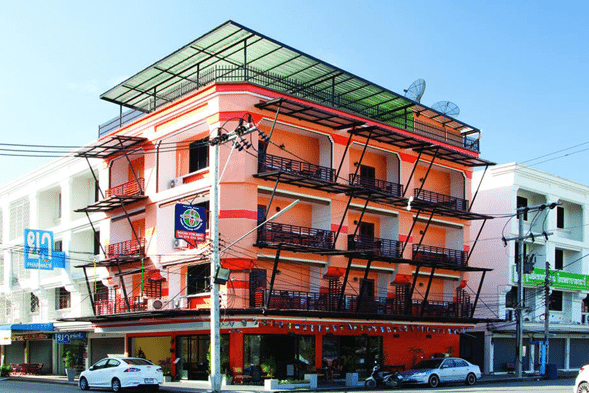 The accommodation is also just two minute walk to the Vogue Shopping center and popular day and night markets. The hotel is set on top its own popular western / Thai restaurant, that caters to primarily westerners as it is one of the few restaurants that will provide a full American or British Breakfast. The staff are friendly and always happy to help from the time you arrive. 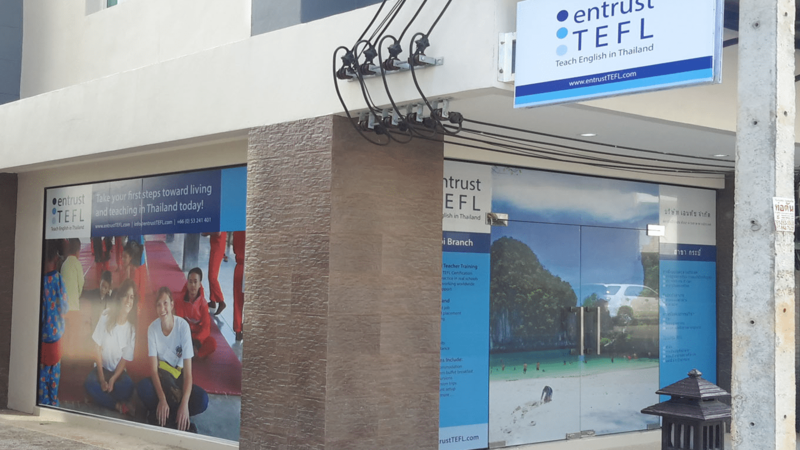 Our Entrust TEFL Staff is there for you every step of the way. Have the confidence in knowing that the first friendly face you see will be one of ours. Either a member of our TEFL staff and or Grand mansion staff will collect and assist you with your check in. It also gives you the fastest route to a comfy bed and shower. The transportation from the airport to the resort takes about 15 minutes. Provide us your arrival information so that we can collect you. Meet our service staff or Grand Mansion driver at your gate. Once everyone is accounted for, hop on to their van to Grand Mansion. Our centralized facilities offer a great balance of modern amenities and immersion into local Thai culture. Circled by a labyrinth of day/night markets as well as street vendors and Western restaurants – there is literally something to cater for everyone’s taste. Our training center provides a fantastic learning environment, maximizing student potential for growth and development. The facilities are modern and accessible via a 10 minute walk from The Grand Mansion. Along the way you will pass many, many food vendors, street markets and upscale restaurants to visit after a hard day of training. Our Island hopping excursion will offer a chance to relax catch some rays, among many of the incredible beaches and tropical islands surrounding Krabi Town via a chartered long tail boat. If the time and weather permits, we will get the opportunity to visit 4 local islands and soak up the atmosphere of stunning natural beauty and local ways of life. Railay beach is generally the highlight – so don’t forget your Frisbee, football or sunscreen – as you frolic amongst the waves and amazing natural surroundings. For the adventurous spirits, snorkelling is also offered, and is a fun climax to the cultural experience before heading back home to Krabi. 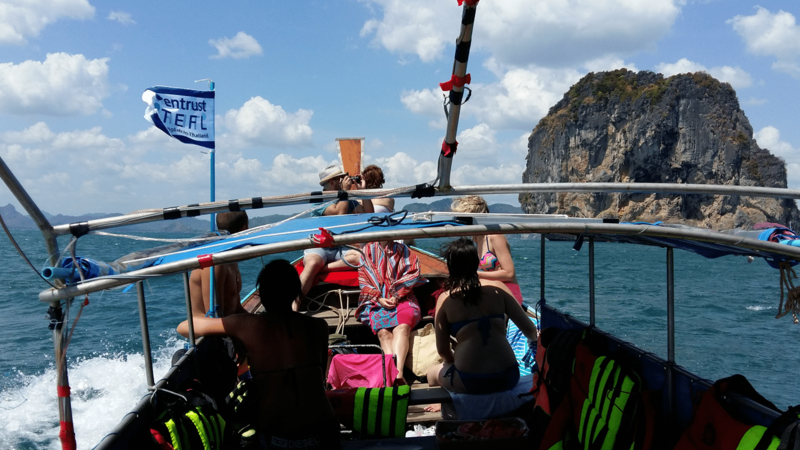 From the training location in Krabi we first head down to the water which is a short three minute walk, where we hop on board a boat that will take us on the world-famous Four Island Trip. As we rent out own captain and boat we are able to customize this day trip to suit you and explore the four islands closest to the training center. Then we have lunch and enjoy swimming around, snorkeling and admiring the stunning marine life! 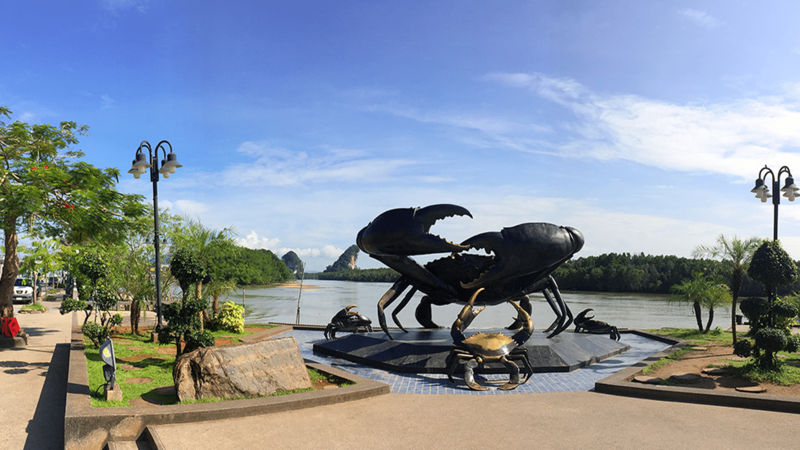 The order on these island visits depends on the captain and we also try to stay away from the crowds, however these are the stunning places we have picked out for you during the Island hopping day to welcome you to Krabi. Railay Beach is renowned for its impressive and unrivaled natural beauty and will literally take your breath away! 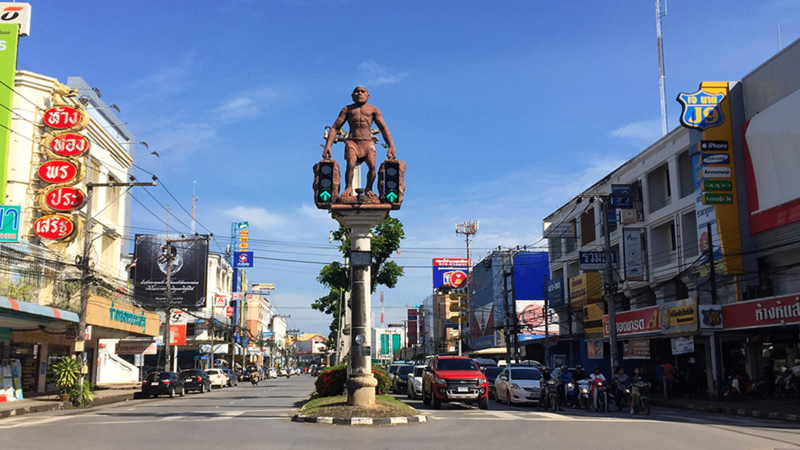 While Krabi is not quite the same cultural center as Chiang Mai is, it still offers much with regards to understanding the history of Thailand. The Thai culture trip is certainly not for the light hearted. Our day involves a 1,237 step hike up the 600 meter karst peak of Tiger Temple. At some points you will be literally crawling up the stone staircase, carved out of the side of the mountain! 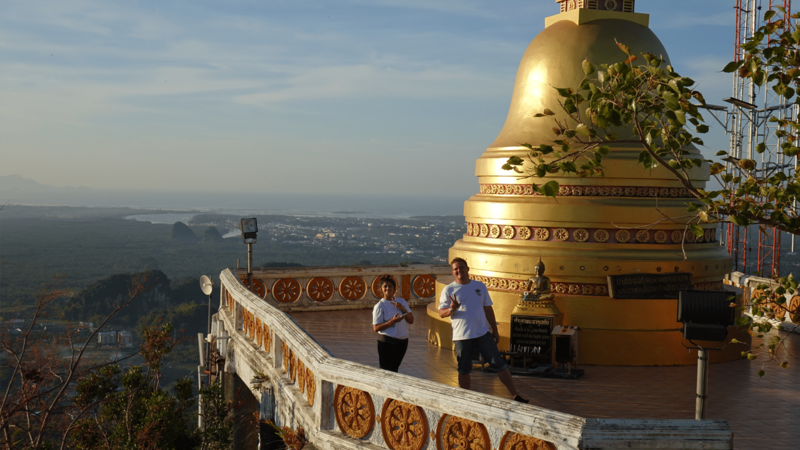 Face contact with monkeys in their natural habitat, golden Buddha statues and spectacular views of the surrounding province and oceans will be your reward on a clear day. 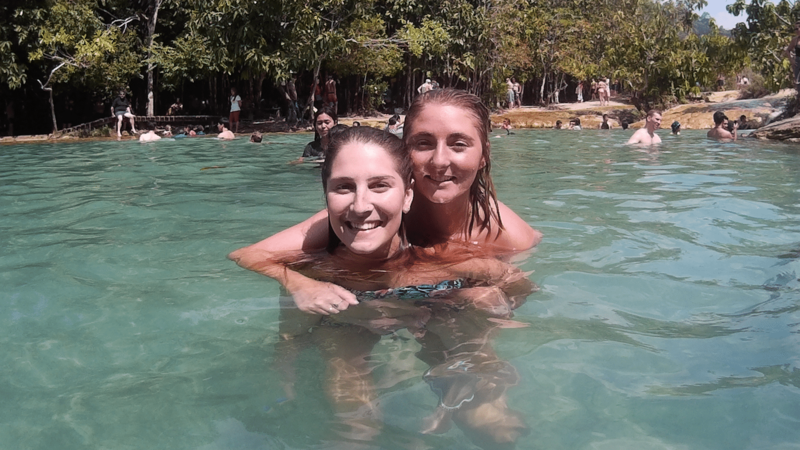 We then head to the emerald pools and hot stream falls to soak our bodies after the Tiger temple climb. Tiger Temple, which is high on a limestone peak overlooking krabi and dozens of islands, but don’t worry there aren’t any actual tigers there. The Emerald Pool is filled by underwater natural springs and other natural fresh water streams that run in to it which offers a nice cool swim. 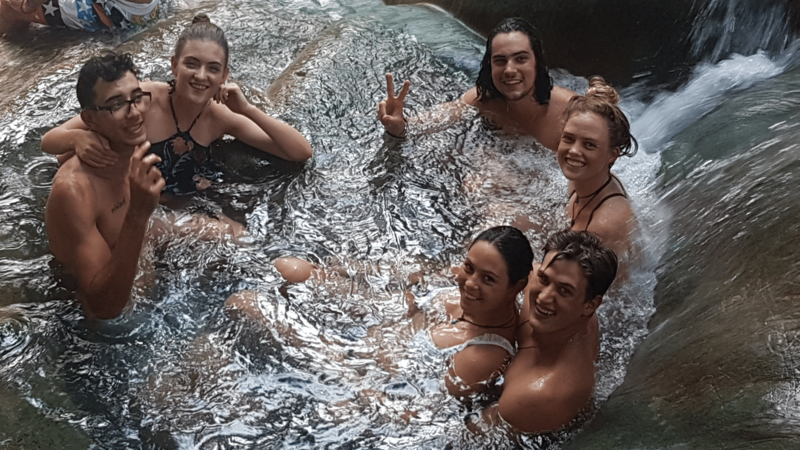 The Hot springs and natural made bathtub shaped pools caused by running water from thermal springs. If you get too hot just take a dip in the natural cool water spring nearby.